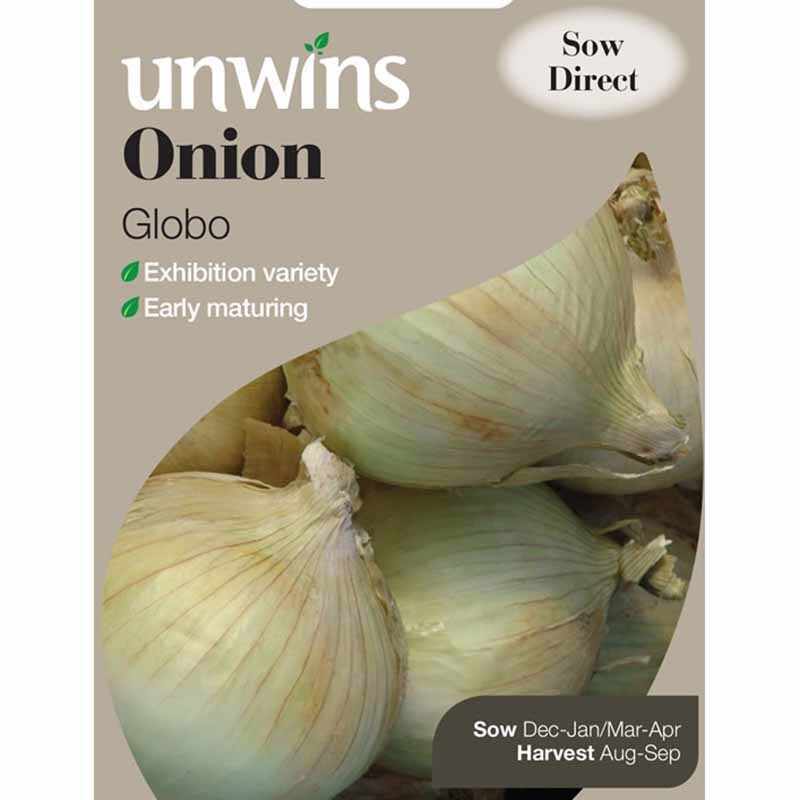 Approx 500 seeds for sowing from April - September. 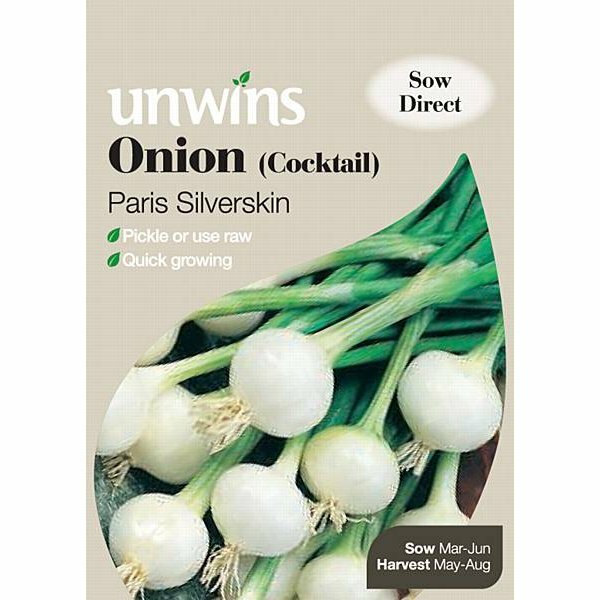 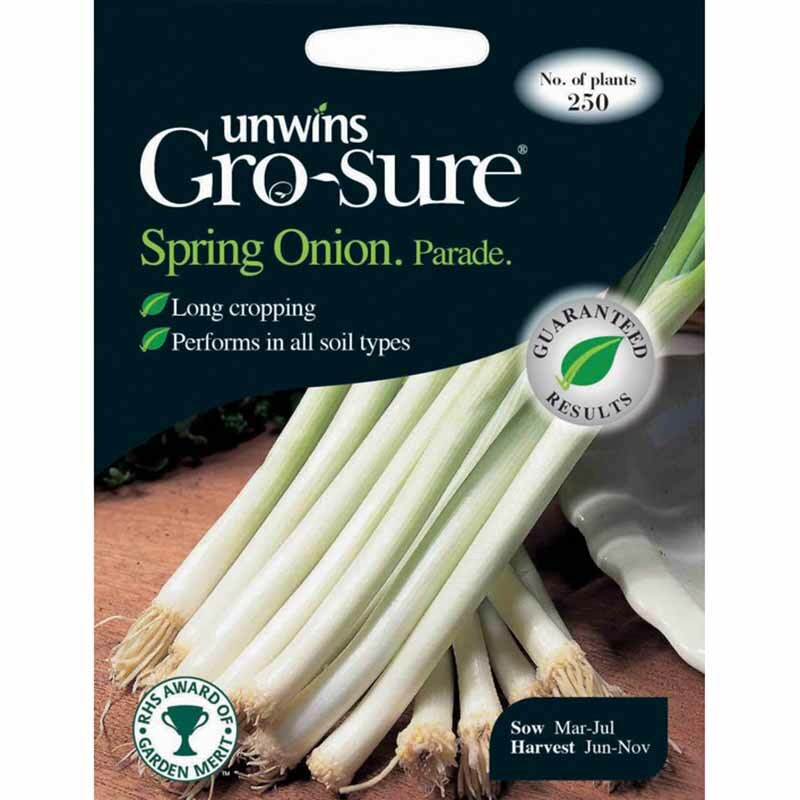 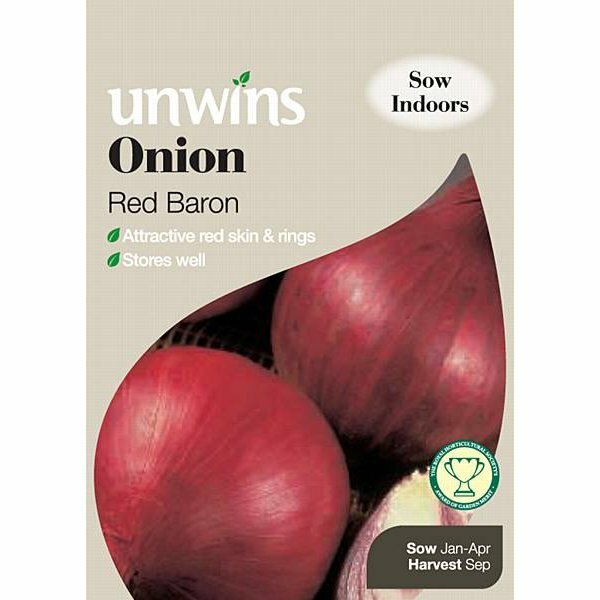 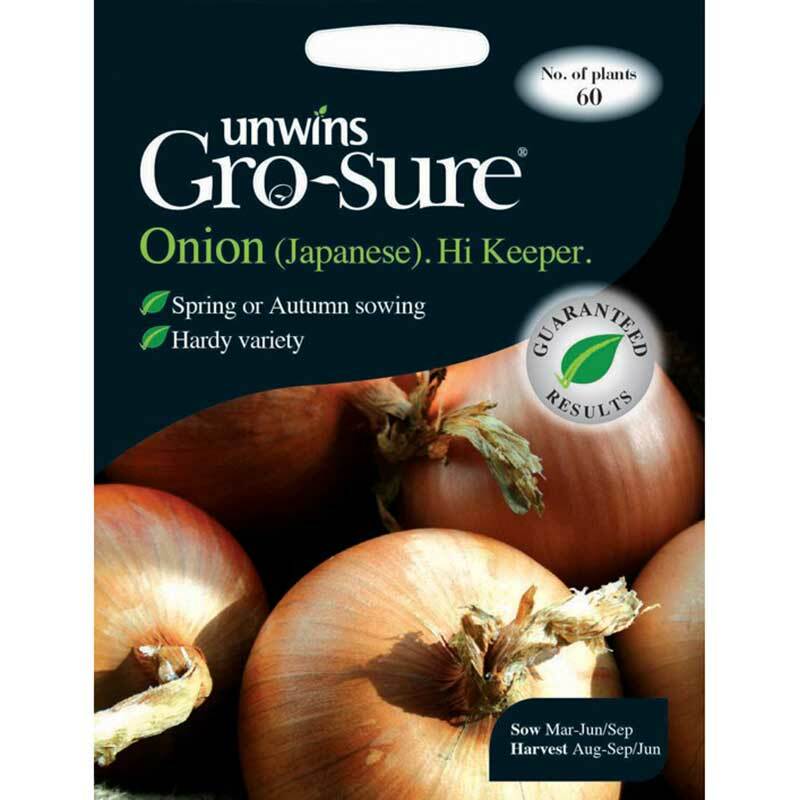 These fabulous onions are dual purpose and hugely attractive. 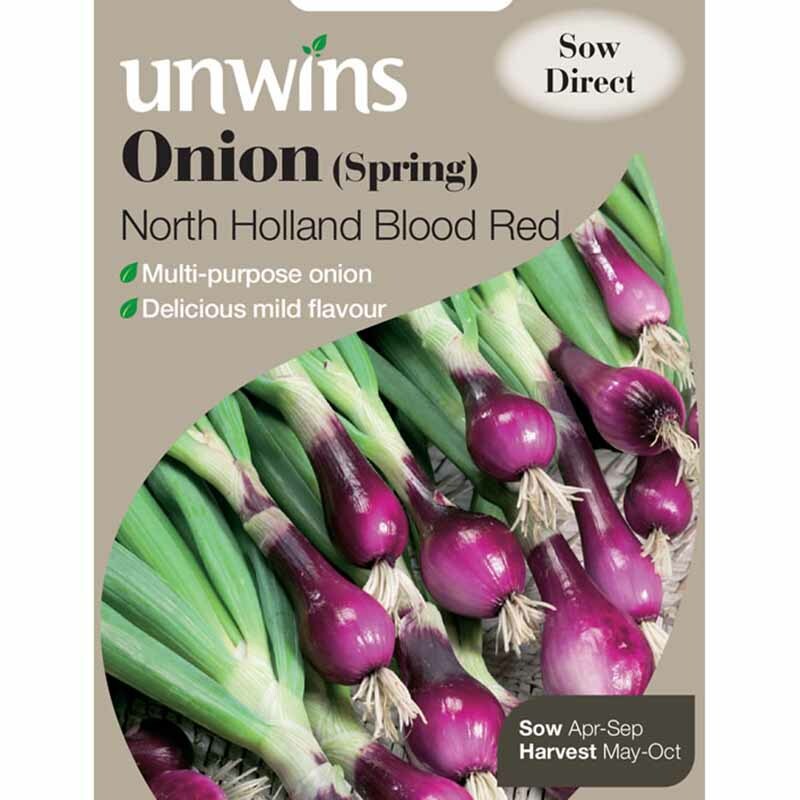 Pick young for the best Spring Onions you'll ever grow with crimson-red outer skins and a delicious mild flavour. 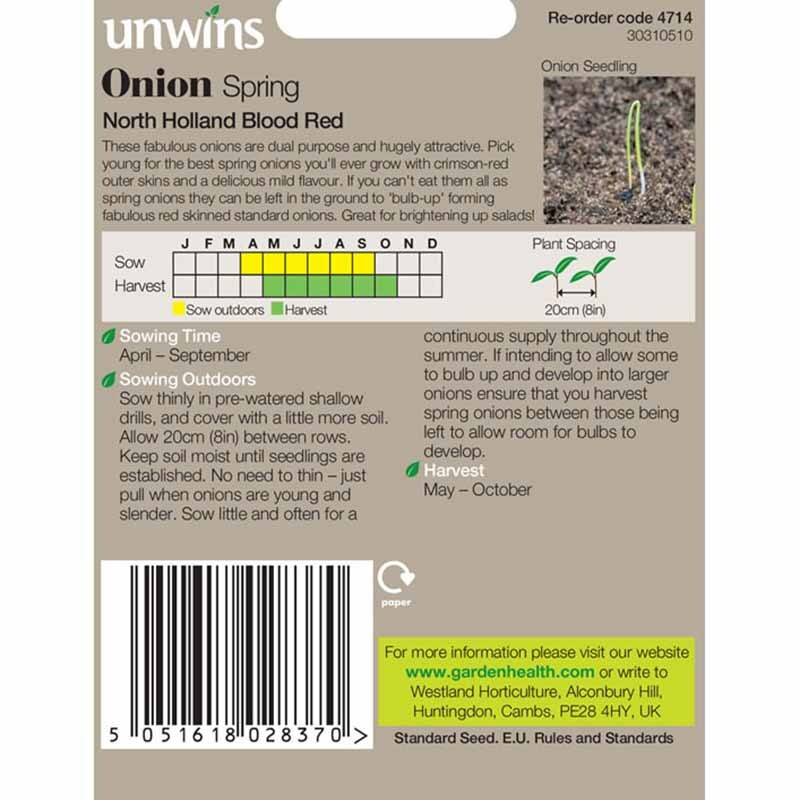 If you can't eat them all as Spring Onions they can be left in the ground to 'bulb-up' forming fabulous red skinned standard onions. 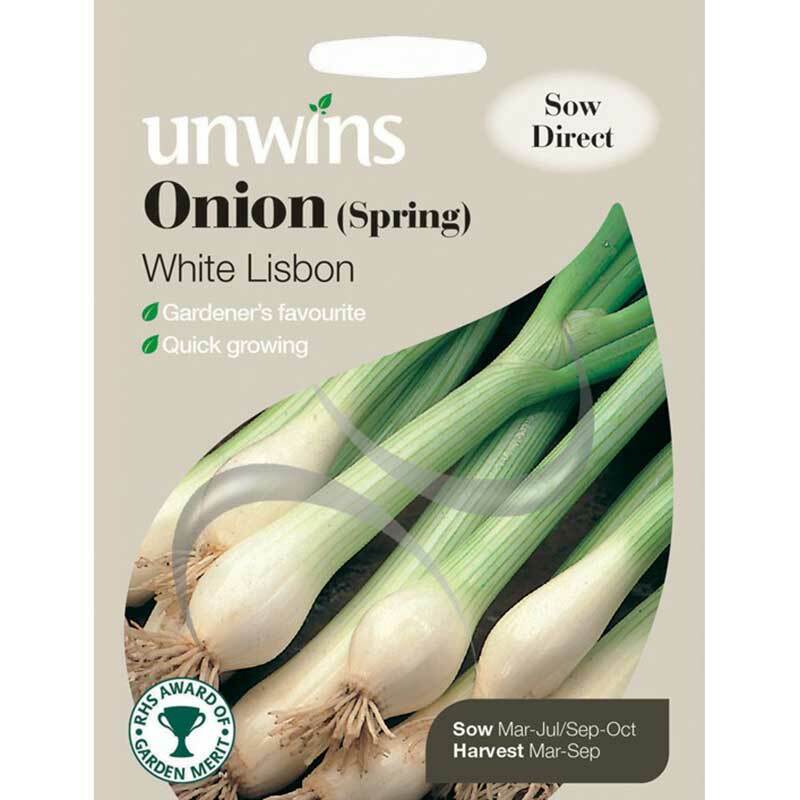 Great for brightening up salads!